ADONAI bless you and keep you! Aaron's blessing! I love it. I also liked seeing your challah bread and plants on the patio. I almost bought some challah bread the other day but instead came away with 2 kinds of bagels (one regular and one flattened with sesame seeds). I also got some lox and cream cheese spread. I haven't had any of this for a long time so it was a nice treat. Thank you Joyful! I also liked seeing the plants on the patio in your post this week!! The bagels sound good! If you ever do buy a challah, please do show us!! There is no where to buy challah here ...and Although I am from NY and know you can buy challah, after all the years in Japan it has a novel sound to it, and I am intrigued with that you can buy challah in the shop! Hugs and blessings to you too! I will definitely share in a post when I buy challah. How long have you been in Japan. I didn't know you were from NY. I'm sure there one can find all kinds of wonderful Jewish foods including challah. Thanks Joyful! I look forward to it! I have been in Japan..19! years!! Yes, in NY that is true, about finding all kinds of wonderful Jewish foods. I think that my love of making Jewish foods including challah is definitely inspired by NY Jewish foods!! And now wanting to share them in Japan! It's nice that you are getting reaquainted with Jewish culture and food and spiritual life. God bless. (I guess I should perhaps say something like "SheElohim yevarach otha". Yellow rose - two different color words for one superb flower! Your Sabbath table is such a beautiful sight! 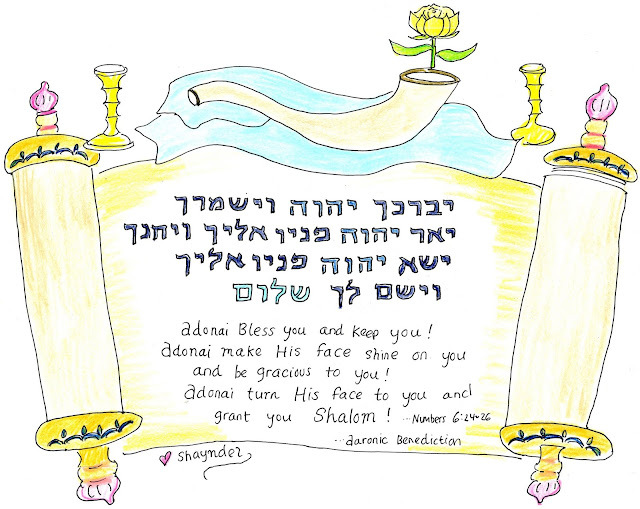 The Torah scrolls look better in your drawing than in the picture. PS Duta, I hope you didn`t notice! 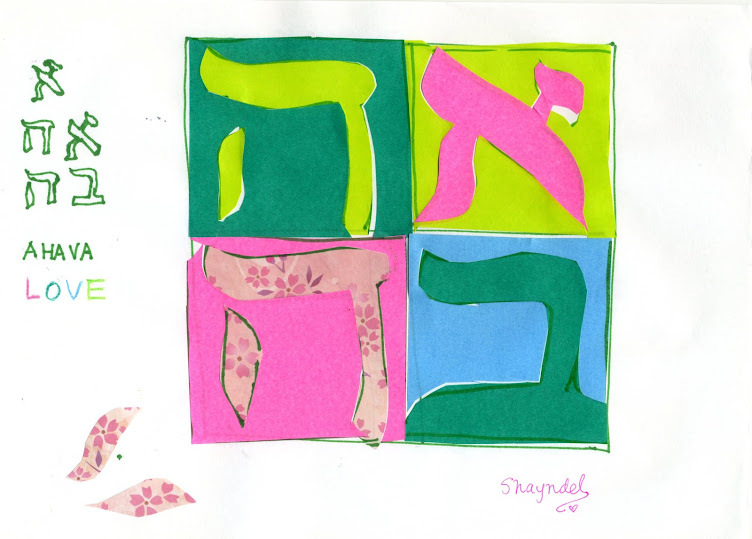 I had a Big mistake in the Hebrew, so I had to re-do the drawing. I carefully copied it by hand and have replaced it and now hopefully it should be correct!! Whew!